A quiet little lake town in the Himalayan foothills. 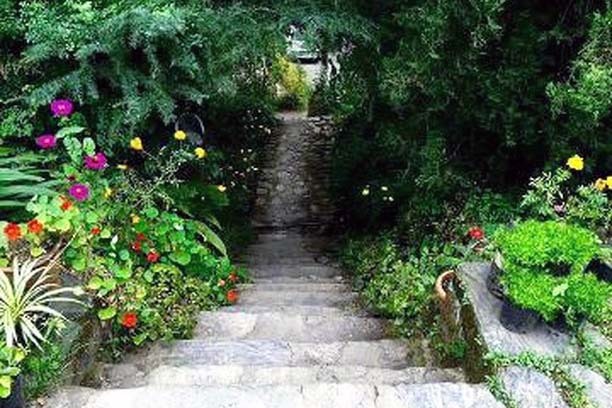 Bhimtal is a pretty little hill town in the Lake District of Kumaon in the foothills of the Himalayas. The lake, which has a little island in the middle, is the largest of the lakes here. The climate is wonderful: spring and autumn are beautiful, summer is pleasant, and winter is sunny and bracing. Even the monsoon is lovely – misty and green. Bhimtal has been known for much longer than Nainital, which was a secret holy lake known only to the hill people until 1841, when the British discovered it. 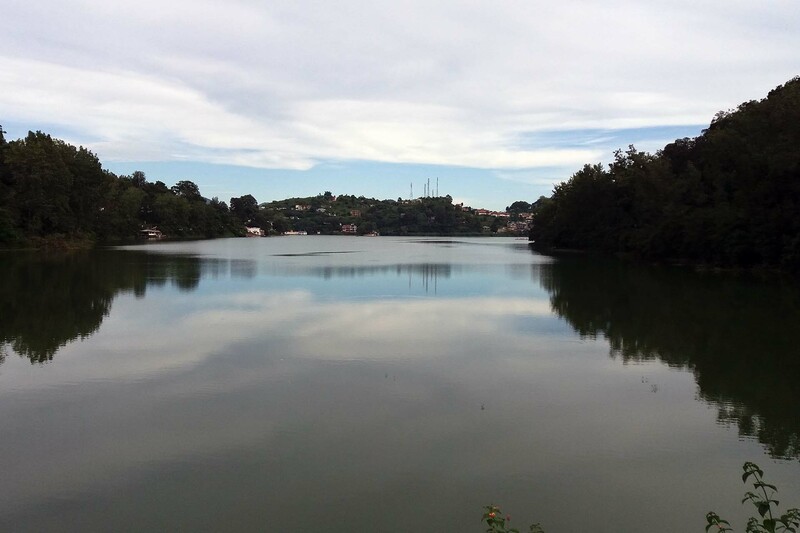 Bhimtal was the best route between the Kumaon mountains and the plains of India. It was a stopping place for traders from Tibet travelling down with caravans of sheep loaded with borax, to trade for goods not to be got in the high mountains. It may well have been part of the Silk Route. 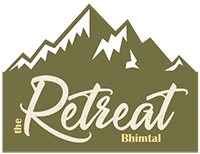 Bhimtal is in the Shivalik range — the region is known as Devbhoomi, the Land of the Gods. 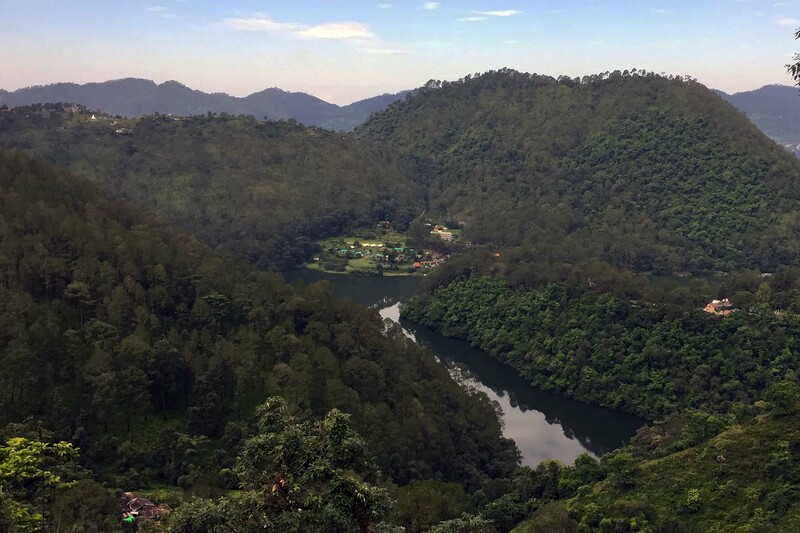 The Pandavas (of the Mahabharata) are believed to have visited here during their vanvas (forest exile). Local legend tells that when their wife Draupadi was thirsty, Bhima struck the ground with his mace, and water gushed out. The lake that formed was named after him. An ancient Shiva temple, Bhimeshwara Mahadev, is said to have been built by Bhima. It has stood here for centuries; the present temple was built in the 17th century by the King of Kumaon, Baz Bahadur of the Chand dynasty. Bhimtal is at the foot of Karkotaka mountain, named after the great mythical cobra. Local legend says when he came to drink at the lake his tail was still on the mountain-top! Hidimba hill at Sat Tal is supposed to be where Hidimbi lived and loved Bhima. Local lore says Nal-Damyanti Tal is where Damyanti waited in Sage Vashishtha’s ashram, for Nala to return for her. The Sat Tal lakes are individually named after the Ramayana’s chief players … the list is endless. We also have a fund of history, stories and legends about places and people connected to Bhimtal and the Estate. Near Bhimtal are other lakes – Naukuchiatal, Sat Tal, Panna Tal, Nala-Damayanti Tal. 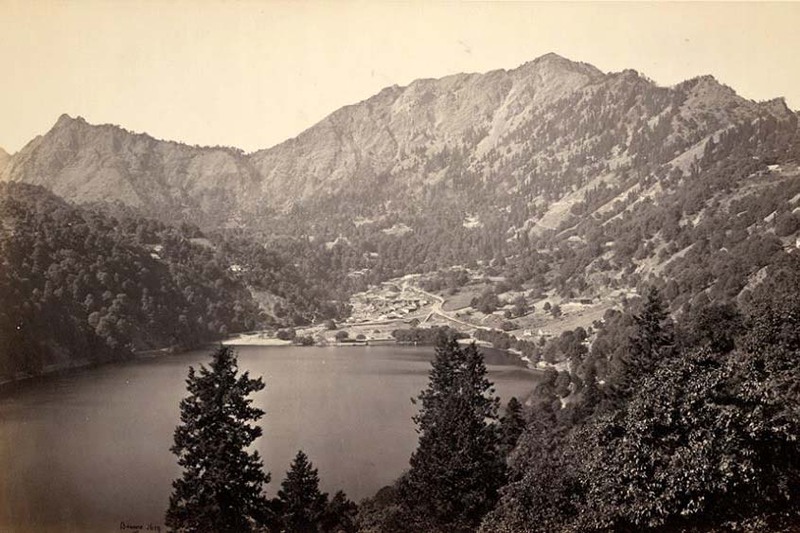 It is 22 km from its more famous neighbour Nainital. 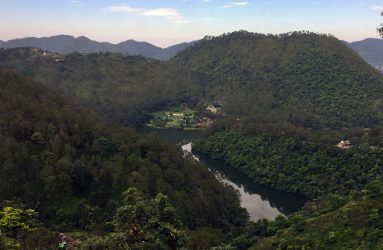 Sat Tal is a short hike away, and Naukuchiatal is 5 km from Bhimtal. 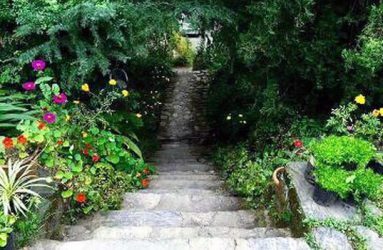 It makes an ideal place to stay if you prefer nature and quiet where you stay for your holiday. 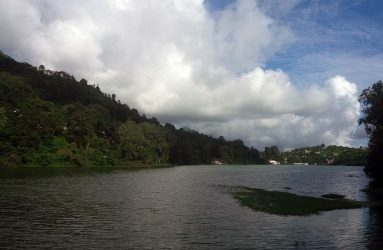 Bhimtal is great as a base from which to make day trips to nearby places of interest – Corbett Park, Nainital, Almora, Ranikhet, Mukteshwar, Kausani, Kaichi Dham, Chhota Kailash and others. Lok Sanskriti Sangrahalaya, created and run single-handedly by Dr Yashodhar Mathpal, Padma Shri, is a treasure-trove of art and artefacts – both archaeological and cultural. It’s a window into Kumaoni art and culture. Khutani, 1.3 km from Bhimtal. Butterfly Research Centre houses what is perhaps India’s largest collection of butterflies and moths, again single-handedly run by Peter Smetacek, a respected lepidopterist. Next door to The Retreat, Jones Estate, Bhimtal. -.Van-khandi or “Alu” Baba – an environmentalist sadhu, living in a small hermitage, who usually regales visitors with wisdom and alu ke gutke, a Kumaoni potato curry. At the top of Hidimba hill, Sat Tal. Bhimeshwar Mahadev temple. Below the Daat (dam), Bhimtal. Kainchuli Devi temple (a local goddess, protector of boatmen, whose shrine marks the site of the original temple, submerged when the dam was built on the lake). On the shore of Bhimtal lake. Golu Dev’s ‘Temple of a Thousand Bells’ – of a popular local god to whom people go when seeking justice. 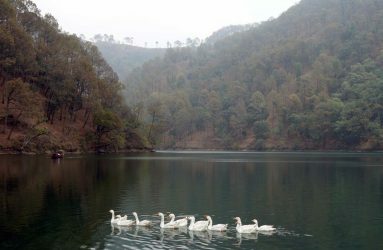 Ghorakhal, 11 km from Bhimtal. Nala-Damayanti temple, where an ancient Mahavishnu idol excavated from the lake bed is installed. Nal-Damyanti Tal, on the fringes of Jones Estate. Sayad Baba ki Mazar, visited by people of all faiths. On Jones Estate. Sat Tal Christian Ashram and Church. Sat Tal (next to Jones Estate). You can shop at the UTDC stores just outside town, one each on the Bhowali and Naukuchiatal roads. The Himjoli store in nearby Mehragaon sells a variety of products from local cooperatives and NGOs. Kashmiri shops at the Daat offer textiles. Fruitage (at Farsauli) en route to Bhowali offers excellent jams, preserves, pickles. Ask for their Buraansh (rhododendron) juice.